Paddy Power Bingo has a fantastic limited Bonus offer on this week which you won’t want to miss out on. On Friday 9th and Saturday 10th April all new members who join the Paddy Power Bingo site will get £2 Free no deposit required! In honour of the Grand National, Paddy Power Bingo will also have some exciting new promos such as Back the Winner which will play in the Sapphire Room between 12.30pm and 2.30pm on Friday and Saturday. Each game is linked to a horse running in the Grand National, if you’re jammy enough to be playing a game that is named after a horse that wins a big race, you will get a share of a £500 BBs prize! There’s £100 Guaranteed Jackpots up for grabs on Ladies Day which is Friday 9th April, you’ll get a whole 12 hours of bingo games between Midday and Midnight. Paddy Power have also launched an all new bingo room called the Topaz Room which opens it’s doors every night at 7pm and remains open until 10pm. This new 90 ball bingo room will offer bargain bingo so you’ll get more games for your money which is always a winner! 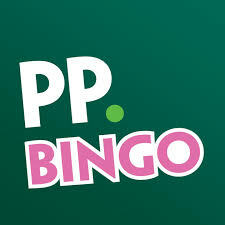 Hot news for Paddy Power Bingo lovers, as they launch their very own e-zine called Bingo Power. Mr Paddy Power gives introduces this interactive magazine which is aimed at bingo players of all levels and is sure to be a welcome addition to the already popular Paddy Power site.